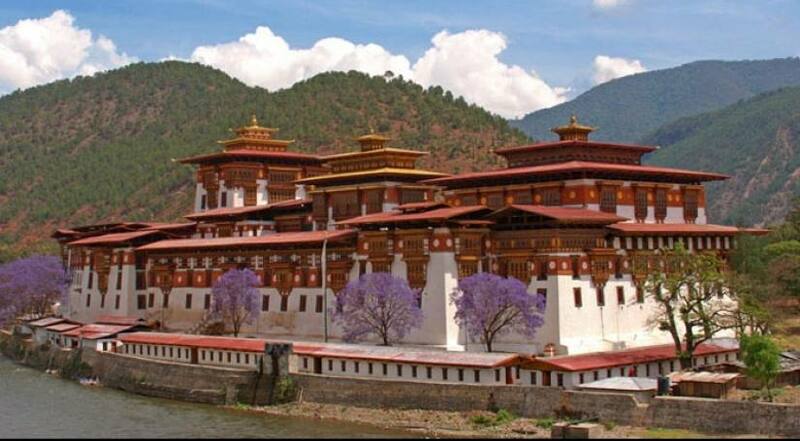 Himalayan Kingdom Tour is a special offering of Bhutan. It is an easy trip that is suitable for all types and ages to explore natural beauties, cultural sites, historical fortress and Dzongs. Tour in the Himalayan Kingdom let you visit the stunning sites in different valleys and countryside guided by the experienced guides. Make a Bhutan travel with the professional arrangement of Himalayan Joy Adventure Pvt. Ltd.
Himalayan Kingdom tour begins with an arrival in Paro and the visiting starts. Sightseeing to the various cultural sites takes place with an experienced tour guide. Visiting the Paro Rinpung Dzong is brilliant in Paro. When you drive to Punakha from there, you have an opportunity to visit Tachog Lhakhang (temple). The tour goes over the Dochula Pass, which is more than 3000 metres and enjoy on viewing 108 Chhortens. Punakha is also a historical place with significant symbols, which was the capital of Bhutan for a long time. Punakha Dzong (fortress) and the Divine Madmans Monastery-Chhimi Lhakhang are other sites in Punakha. To reach the Nobding village, you need to cross the Pele la pass (3300m). In Bumthang, you will come across Yathra Weaving Centre at Zugney Village, Tamshing Lhakhang and drive to Mebar Tsho ( Burning lake). Then you drive back to Thimpu, drive to Paro and end the trip.